What is better than comfort food? Comfort food that can be thrown together in the morning and forgotten about until dinner time. Today I’m sharing one such recipe. It was adapted from a Blue Apron meal. The difference? 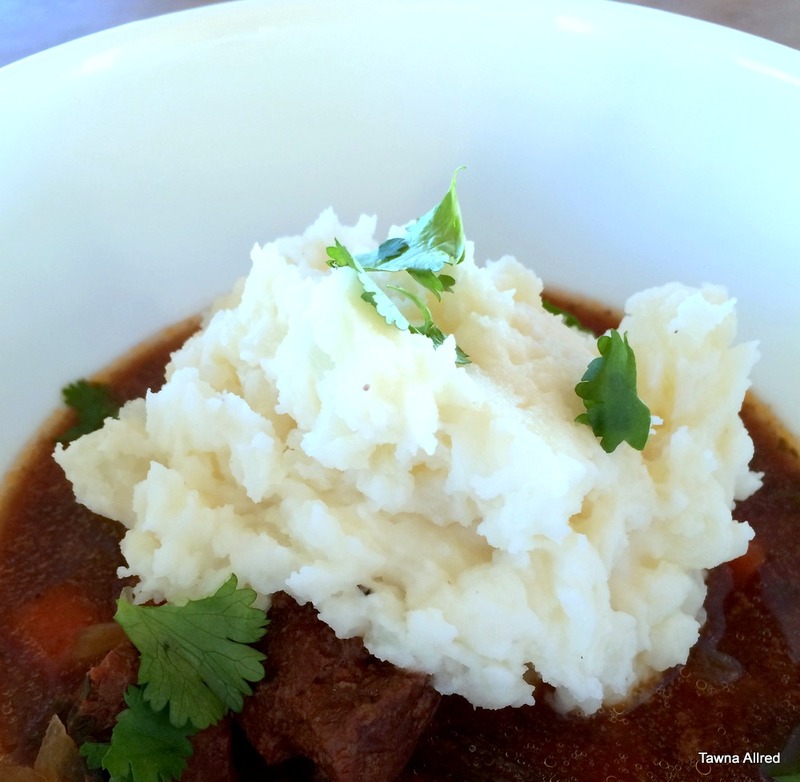 My stew is better (I still love you Blue Apron) and it can be thrown together in a slow cooker. Busy moms and dads can rejoice! Place all ingredients except the potatoes and carrots into the slow cooker. (If you want stew that knocks people’s socks off, quickly sear the edges of the beef, celery, and onions before you throw them into the slow cooker. I usually don’t have time). Wrap carrots in tinfoil, place on top of the rest of the ingredients in the slow cooker. (This prevents the carrots from turning into mush). Put on the lid and cook on low for up to 6-8 hours. Put chopped potatoes in a large pot filled with ice water. Place in the refrigerator until you are ready to cook them in the evening. When you are ready, put on the stove and cook (in the same water) until the potatoes are soft. Mash with 1 cube butter, a little milk, and 3/4 cup sour cream (you could throw in chopped chives if you want). Once potatoes are mashed, unwrap the carrots and stir into the stew. Fill individual soup bowls half way with stew and top with the mashed potatoes. Enjoy!